Last week while doing my homework I came across a tidbit that I thought was interesting in relation to the Book of Mormon and archaeology. Well, this week I find myself increasingly distracted from my homework by John L. Sorenson’s Mormon’s Codex, the most extensive treatise on the Book of Mormon and archaeology yet to be published. Though still only in the third chapter, I found another interesting tidbit I thought worth sharing. 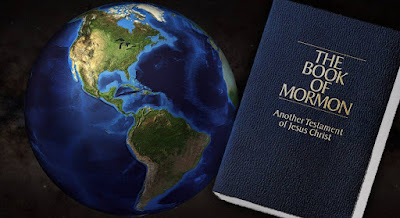 It must be remembered that these are not groups that maintained continuous and long term contact with their previous culture (in contrast to the Norse settlers of North America some critics like to point to as analogous to the Book of Mormon settlers). How much Old World skill and culture would they have really brought with them? How much of that would have survived the journey and the many cultural transitions they necessarily had to endure? How long would those remaining elements have lasted? While we know that some religious and linguistic aspects were maintained (at least by the social elites who kept the record), how much material culture – the “traces” left behind that help us identify past peoples - was persevered? These important questions need to be added to those posed in my previous note on archaeology and the Book of Mormon. With these insights in mind, it makes it seem even less likely that there would be anything distinguishably “Old World” about their material culture by the time Lehi’s decedents reached the point where they were big enough to leave a trace. None of this is to excuse the Book of Mormon from being supported by any kind of archaeological evidence. 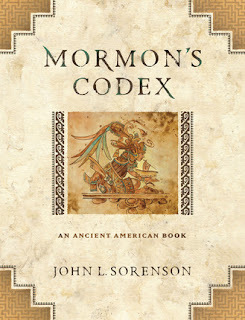 Sorenson’s massive tome makes it clear that there is plenty of such evidence available, of varying strengths and degrees. Rather, the point is to identify just what kind of evidence we ought to find, and then balance our expectations accordingly. Interesting points, but I wouldn't take them *too* far. While they definitely point to a decreased probability of finding too many pieces of tangible archeological evidence, I think that calls more for patience than giving up hope of finding such evidence. I still wouldn't be surprised if we started finding more conclusive details eventually as more and more time is put into fieldwork and research. Thanks for commenting. I agree that there is no need to give up on finding archaeological evidence for the Book of Mormon. The simple point, however, is that in our quest, we need to be aware of what the complicating factors are, and thus adjust our expectations accordingly.